I am so proud of myself for sticking with my goal to blog every day this week. I can't believe it myself. Well, I have another Easter card for you today. Actually this could be used for a child's Birthday card as well. My sister, Shannon, designed this card. I just recreated it and used it for last month's Card Club. 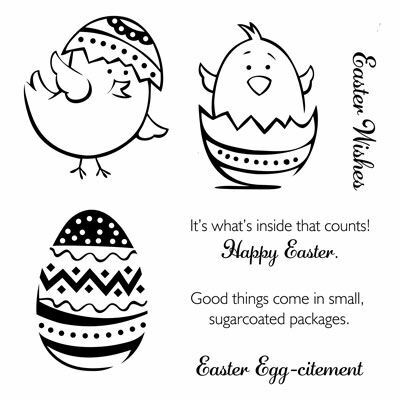 I used the Easter Wishes stamp set (B1422). I also used our Alcohol markers. They really make coloring so easy.